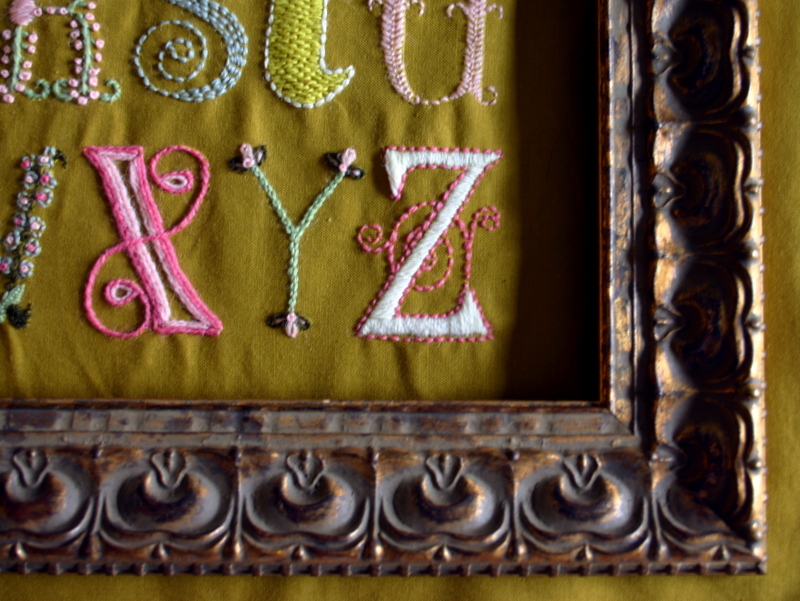 Every last stitch has been stitched, and the frame has been purchased. All that’s left is to acquire some additional framing supplies and my Daisychain ABC’s sampler will be complete! I’m about to have my breath taken away, aren’t I?